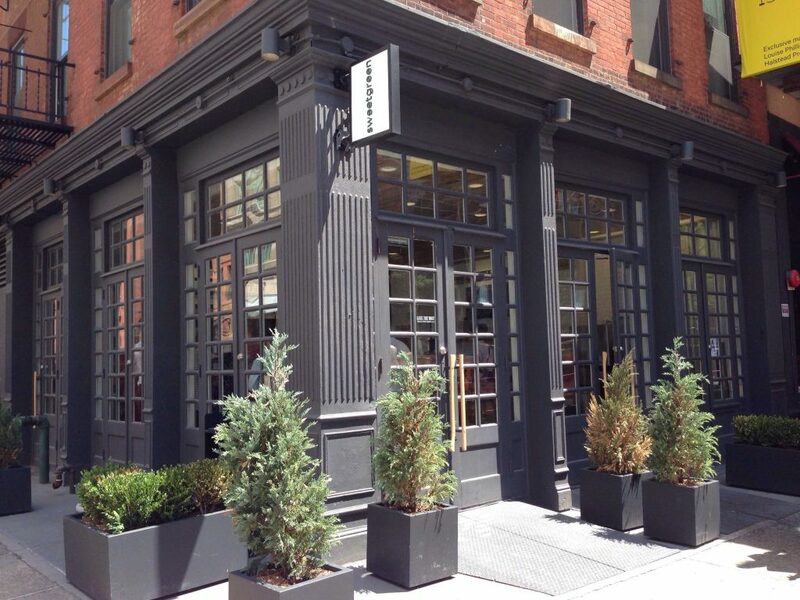 Tribeca is one of New York City’s most vibrant neighborhoods — bustling, trendy, and full of delicious places to eat. 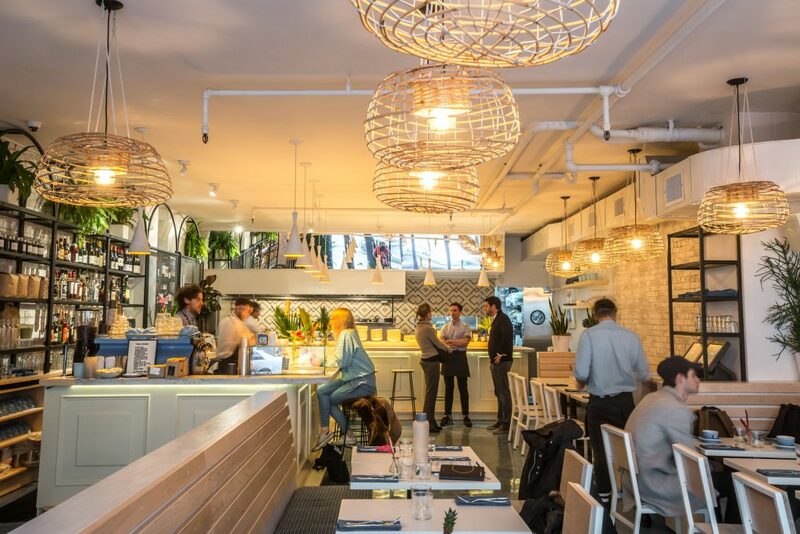 Whether you’re in the Tribeca area for a meeting or working out of one of our office spaces at 40 Worth Street, there are plenty of great spots to grab lunch. Whatever you’re in the mood for, Tribeca always has something to offer. Two Hands promises to serve up “nutritious, simple, delicious food paired with exceptional coffee.” Inspired by the relaxed Aussie attitude to life, this is a little oasis of chill in the middle of your work day. Options include the Two Hands Beef Burger for days when you’re hungry, or Cauliflower Cous Cous if you’re looking for something a little lighter. Delivery is also available for those working in Tribeca. 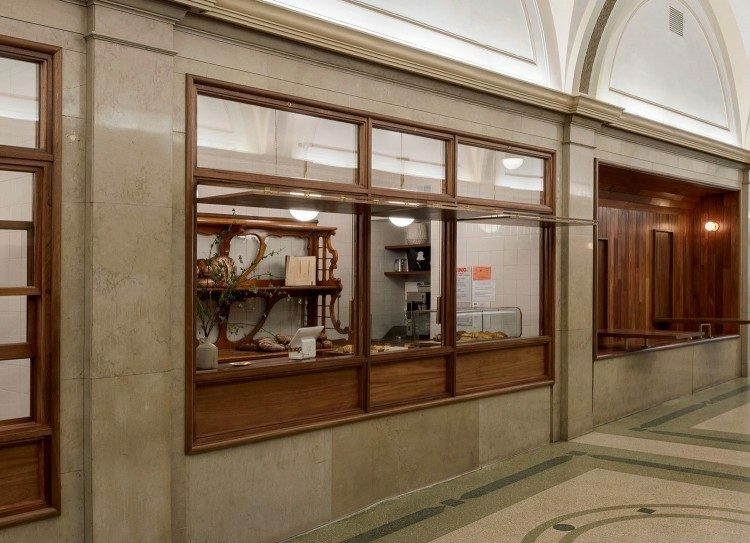 Just a hop away from our Worth Street offices, the Arcade Bakery is rumoured to have the best croissants in New York City. But this bakery isn’t only for those looking to get their sugar fix for the day, as they serve up sandwiches and pizza for lunch daily. If you’re in a rush you can order your pizza ahead on their website. 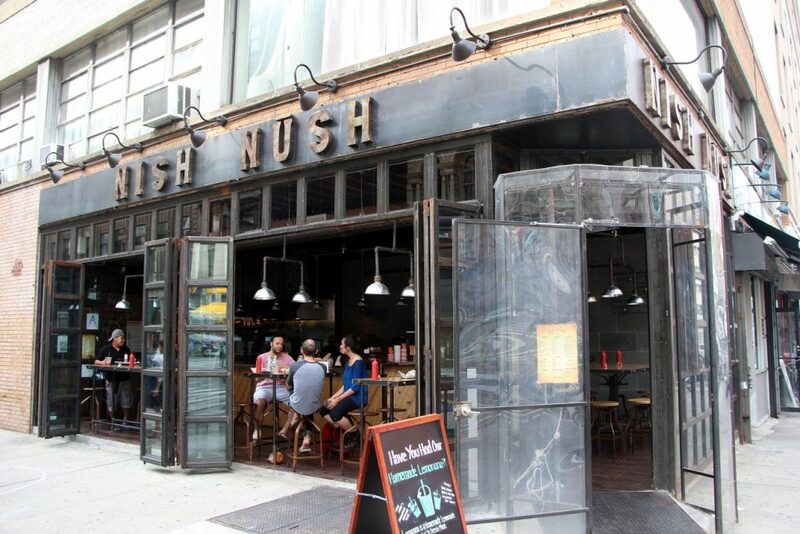 Feel nourished in the middle of the day with a stop at Nish Nush. The menu features Mediterranean comfort food including falafel, pitas, and hearty salads. Online ordering is available for pick up or delivery. This popular Japanese eatery claims, “We do Ramen, right.” But that’s not all they do: check out their extensive sushi menu, and their lunch specials. Delivery options are also available. Sometimes all you want for lunch is a quick bite, and a good coffee. When that’s the case, Gotan has you covered. 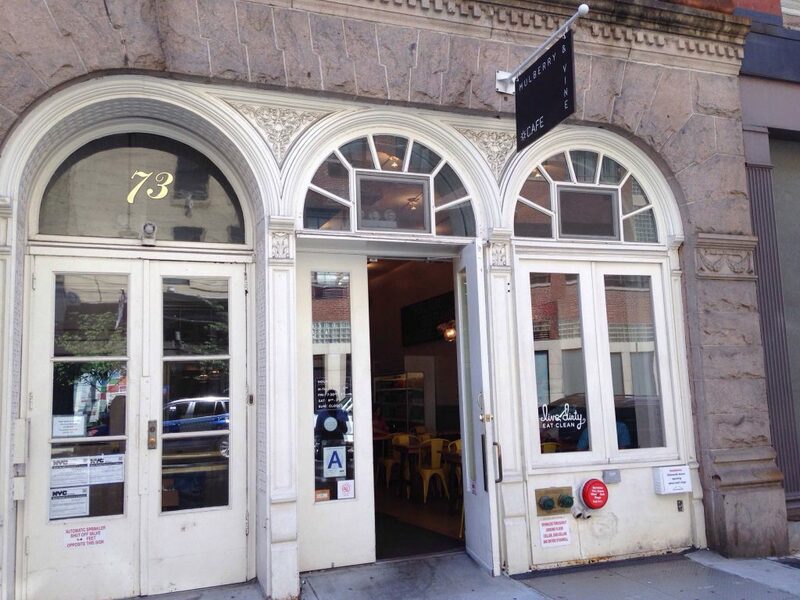 Their selection of sandwiches ranges from the traditional Brooklyn Cured Ham to the innovative Squash Ricotta. 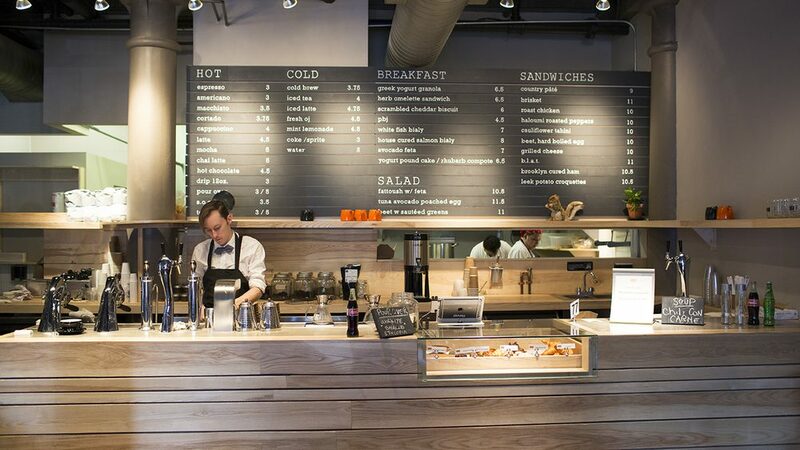 They also offer a great selection of salads — and of course, coffee, to get you through your busy afternoon. Need to inject a little heat into your day? This authentic-style Indian restaurant will deliver on spice. The Taramind Tribeca weekday lunch menu is a 3-course prix fixe and includes options such as Kathal Murgh (Tandoori chicken curry), Meen Calwan (Halibut), and Kadai Paneer. Are you still sticking to an “eat healthier in 2018” resolution? Sweetgreen is the spot for you. This health-conscious and ethically inspired chain will serve you food to make you feel good — inside and out. 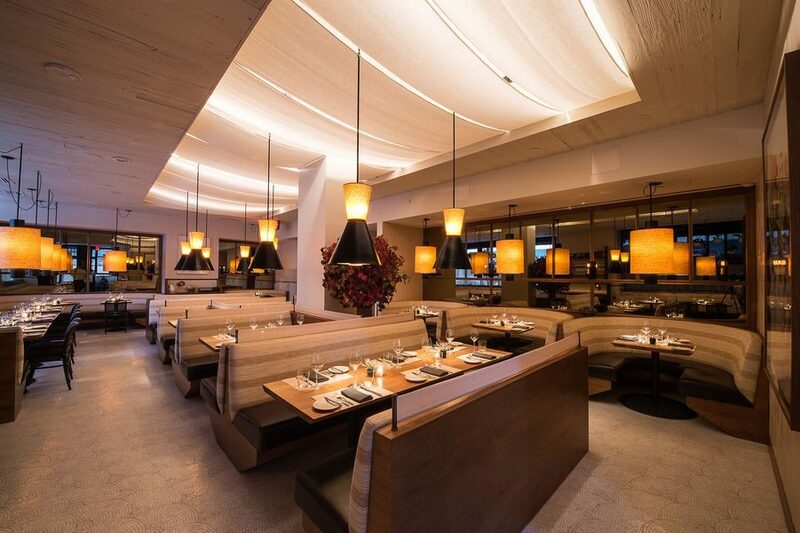 Their seasonal dishes are guaranteed to be fresh, sourced locally, and sustainanably grown. In addition to their standard fare, you can also design your own dish. Order online for pick up if you need to skip the line. This casual and cozy sushi restaurant is a hidden Tribeca gem. 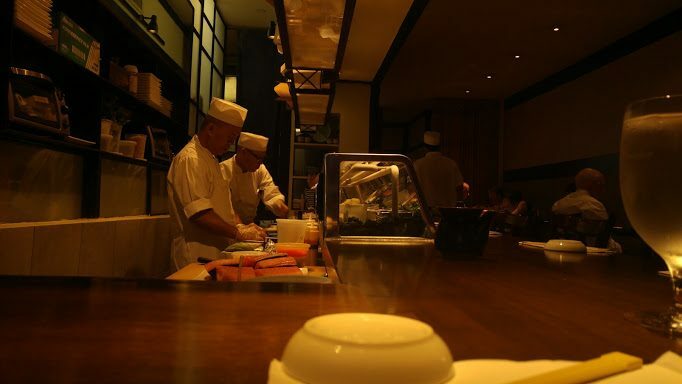 With locals comparing it to Nobu — without the Nobu prices — Takahachi offers excellent lunch specials at great value. As well as their top notch sushi and plates, their matcha crepe gets rave reviews. This cheerful cafe is another neighborhood favorite for those looking for a healthier lunch option. The Mulberry and Vine menu is full of vegetarian, vegan, and gluten free option — as well as delicious options for any carnivores in your party. They also make their own tumeric-ginger lemonade in house — which you just know has got to be good for you. You can order delivery or for pick up through their website. This upmarket spot is a great place to grab lunch with a client — who will no doubt be impressed by Little Park‘s creative and seasonal menu. 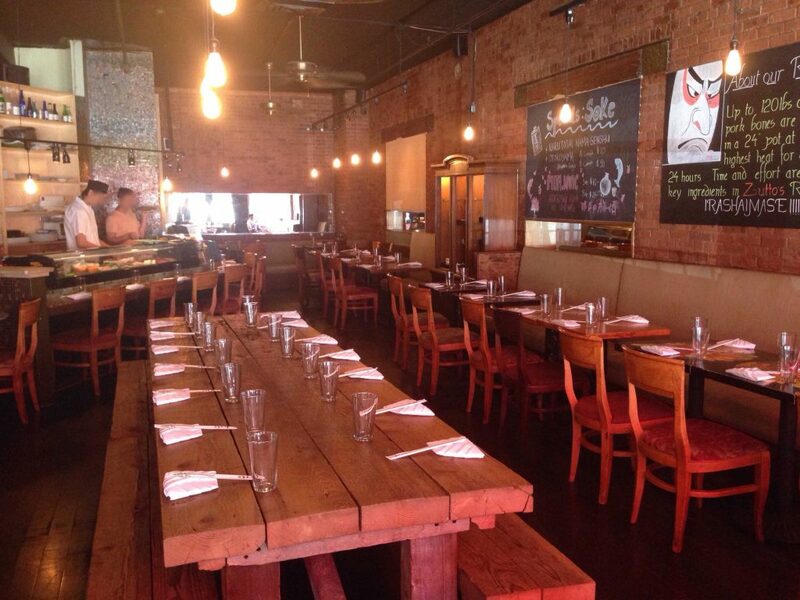 The food is locally-sourced and features organic produce and ethically sourced meat and fish. This list is just the tip of the iceberg for the best places to eat in the area. In Tribeca, you can always stumble across your new favorite lunch spot. Tell us — have you been to any of our picks? Where else would you recommend? Principal, James E. Rocco Associates, Inc. 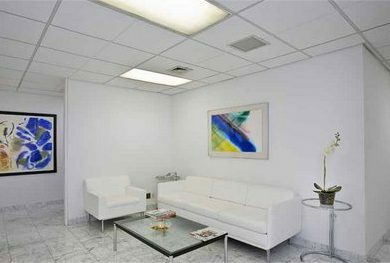 Contact us today and your team room, office, office suite or shared office space will be ready with high speed internet, telephone and furniture tomorrow! Copyright © 2019 Bevmax Office Centers.